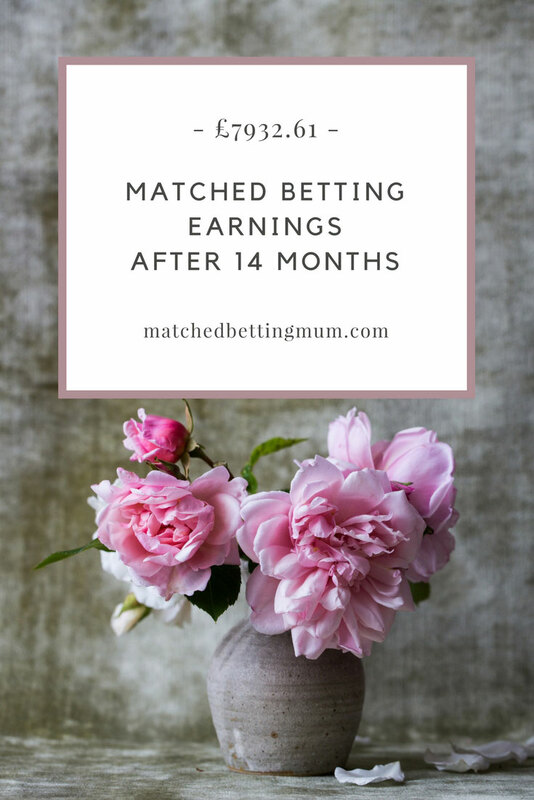 Every month I publish monthly matched betting diaries showing the amount of money I’ve made matched betting the previous month. My aim is to show just how much it is possible to make if you have a little spare time for matched betting. I try to make about £500 per month matched betting. However, I expected my earnings to go down significantly this month. As we were coming to the tail end of a quiet summer of sport I didn’t expect there to be many offers available in early August. However, this month we were in Cyprus for nearly three weeks. This meant no matched betting. It was a full on family holiday, with no time for sitting back and sunbathing – let alone placing any bets! I also don’t recommend attempting to place bets from other countries with UK bookmakers. Most bookmakers don’t allow those based outside the UK to bet with them. And they can detect whether you are accessing their sites through the IP address. Some people try to hide this with VPNs. However, I didn’t want to do anything which might flag my account to the bookmakers. For these reasons, I hoped to make £100 this month. But I wasn’t sure if this was very realistic. The total amount I made matched betting in August 2017 was £211.18. My matched betting this month was limited to the first couple of weeks in August. However, I also needed to entertain the children during this time. And trying to get us organised for a three week holiday took up an unfathomable amount of effort! I probably spent about 8 hours in total matched betting. I was therefore very happy to make more than £200 in this time! This was boosted by a free bingo bonus offer, but I also had an unexpected boost from some racing offers associated to a small horse racing festival. I missed out on most of the offers associated with the start of the new Premiership football season. But we had a brilliant time away. And, as we only paid £200 to fly all four of us to Cyprus and back business class – in the middle of the summer holidays – I wasn’t too fussed about missing out on a few offers for a while. Matched Betting Mum has made nearly £8,000 since she started matched betting in her spare time just over a year ago. So I’ve made a total of £7932.61 since I started matched betting in July 2016. Many people can and do make more than me. However, I do matched betting in my spare time around the children. At best, I can normally spare about six hours per week for matched betting. Most of the time this isn’t possible. So I’m chuffed to make as much as I have done over the last year. Most of the money I make comes from checking the list of offers on Profit Accumulator most days. I also follow the ‘How to Make £1000 a Month’ thread on Profit Accumulator’s forum so I am notified of new offers when they become available. Here’s a breakdown of the different types of offers I got involved in this month. Some offers will be riskier than others. So you might risk a qualifying loss for the chance of a free bet. My guide to the different types of risks involved in matched betting might help you understand this a little more. Luckily, there was a horse racing festival this month which meant there were lots of offers available. These, together with a few advanced offers to celebrate the start of the new football season, helped me make quite a significant amount this month. If you’ve not yet completed any casino offers, I’d recommend you take a look at my introductory guide to casino offers. They can be fun, but they can also be time consuming. And there’s no guarantee you’ll make money from them. Further, not all casino offers are risk-free. Profit Accumulator always analyse each offer and provide guidance about the amount of money you are likely to make and how to approach the offers .I tend to tackle the riskier offers when I’m confident of making my £500 monthly matched betting target. And I’ll only ever tend to risk a maximum of £25 at any one time. It’s important not to rely on casino offers for making money. However, I use them to top up my earnings and am prepared to get involved in the riskier offers if I’m having a good month. As my previous diary entries will show, I have on occasions ended up down as a result of participating in these offers. I would advise you to think carefully about the amount of money you want to risk. Then have a go. But always follow Profit Accumulator’s advice and never ever be tempted to try and win back any money you lose by having another go! These are offers where you receive a free bet depending on the outcome of match or competition. For example, you might get a free bet if your horse finishes first or second in a race. Or if a football match ends in a 0-0 draw. As there is no guarantee of a free bet, these are riskier offers. You will suffer some qualifying losses if the refund trigger does not occur. If you read my diaries regularly, you’ll be aware that I’ve been very lucky with some free bingo bonuses over the last few months. The same happened again this month! I was very surprised and am sure my luck must have run out now. The same offer – a £5 free bonus at the beginning of the month – has paid out significant amounts of money to me three times in total! This is purely down to luck. However, I’ve found that I tended to win when playing in the mornings. I also chose the games that fewer people were playing. While the prizes weren’t as large, this no doubt increased my chances of winning. Then I’d recommend signing up for a free trial with Profit Accumulator. They walk you through the matched betting process step by step. The free trial allows you to make £35-£40 simply by trying a couple of the different introductory offers available. It’s the perfect way to see if matched betting is for you. With only a few hours spare each week to do matched betting, I find the service they offer invaluable. Profit Accumulator tells me which offers to complete and help me find the bets. This saves me hours searching for offers alone. Instead, I focus on making money! My Profit Accumulator review has lots more information about the service they provide.